In the United States, there are approximately 450,000 people living with spinal cord injuries, including about 8,000 new spinal cord injuries each year. Most of these injuries involve males between the ages of 16-30 as a result of motor vehicle accidents, violence or falls. As the central column of your body, the spinal cord connects your brain to every other part of the body. Therefore, serious spinal cord injuries can have a significant impact on your daily life and how you function. At Kraft Davies, PLLC, in Seattle, Washington, our personal injury attorneys provide aggressive representation for victims of spinal cord injuries due to the negligent actions of others. We know how the negligent acts of another can change your life in an instant. Our experience includes handling cases resulting from maritime accidents, dock and pier injuries, construction accidents, premises liability cases, injuries in school sporting events, diving injuries, motor vehicle accidents and other serious injuries. If you or a loved one has suffered a spinal cord injury in a maritime accident or motor vehicle accident, contact us to discuss your case in a free, no-obligation consultation. Call our office at 206.624.8844. In the Northwest, many injured people with serious spinal cord injuries are treated surgically at Harborview Medical Center in Seattle, Washington. Harborview Medical Center has some of the best orthopedic surgeons in the country for spinal cord injuries. Treatments for spinal cord injury vary significantly depending on the location of the injury and the severity of the injury to the spinal cord. Surgeons may perform spinal fusion surgeries to stabilize the bones around the spinal cord or removed bone fragments that threaten further injury to the spinal cord. In addition, ongoing physical therapy and rehabilitation are usually required and often add additional costs to the recovery process. In recent years, medical researchers are making amazing gains in spinal cord injury research, which makes it imperative that an injured person obtain maximum compensation to fund any necessary future medical care and obtain the best quality of medical treatment. The Northwest Regional Spinal Cord Injury System (NWRSCIS): This program is part of the Department of Rehabilitation Medicine at the University of Washington Medical Center and at Children's Hospital Regional Medical Center in Seattle, Washington. Pushing Boundaries: Pushing Boundaries is based in Redmond, Washington, and offers a range of motions for rehabilitation for spinal cord injury patients. For additional resources on spinal cord injuries, please visit our Resources page. Immediately after an accidental injury, an injured person and his or her family are acutely concerned with getting high-quality medical care, therapy and rehabilitation. Beyond all of these essential aspects of a catastrophic spinal injury, medical issues often remain a concern for months or years to come. At Kraft Davies, PLLC, we understand the concerns our clients have regarding short- and long-term care following a spinal cord injury. Our attorneys work closely with medical experts and occupational specialists to build strong cases and in seeking compensation from all liable parties. At Kraft Davies, PLLC, we offer a free case evaluation to provide you with more information so that you can decide how you wish to proceed. 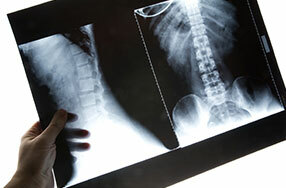 To discuss your case with an experienced Seattle spinal cord injury lawyer, contact us.